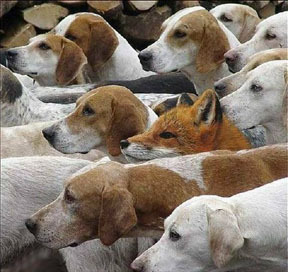 Sometimes hiding in plain sight is the best camouflage. There are several tales telling how to get into places where discovery could cause problems. Wolves dress as sheep to eat well and Greeks build large wooden horses to get past the front door. Both use a cloak to camouflage their true natures. This leads us to the problem faced by nanobots. Nanobots are molecular devices built from DNA that can be programmed to perform certain reactions under predetermined conditions. They can be programmed to deliver a particular chemical payload such as a drug delivery to target cells, like cancer, leukemia or lymphoma cells. They can function as biosensors to detect the presence of various toxins in food or drink. Nanobots have a particularly interesting future in medicine. They have one main problem — the body’s immune system identifies them as foreign and destroys them. Scientists at Harvard’s Wyss Institute for Biologically Inspired Engineering have found a way to solve this problem. They looked to how viruses manage to sneak past the immune system. Viruses cloak themselves in proteins to make the immune system ignore them. Would a cloak help the nanobots to survive? Tiny molecular handles were added to the design of the nanobot to attach phospholipids and build an oily coating. Under a microscope, the nanobot looked just like an enveloped virus. Yet, would the immune system be fooled? They tested their new coating by loading nanobots with fluorescent dye and injecting them into mice. Over time, dye from uncoated nanobots was found collected in the mouse bladders. The immune system had responded and broken them down, preparing the body to wash them away. However, the dye from the coated nanobots was found throughout the mouse bodies for several hours. The immune system essentially ignored the invasion. These molecule-sized robots will add an extremely useful tool to the fight against diseases. Future nanobots may be used to switch on the immune system and fight cancerous growth or switch it off to ignore transplanted tissue in surgery patients. This experiment was published online April 2, 2014 in the American Chemical Society’s Nano journal.